As a marketer, have you ever been in a meeting where someone (usually a salesperson) asks what is marketing really doing for us? What value do they bring or why do we even have a marketing team? If you have, you know it is an uncomfortable spot to be in. The seemingly great divide between sales and marketing leads to these types of questions more often than it should, even in 2016 – in businesses of all shapes and sizes. Perhaps the bigger question for marketers is are you prepared to answer those questions? Your first reaction might be to get mad or frustrated by it. After all, your team works really hard and who are those stupid salespeople to criticize your efforts let alone your very existence. You also might be hurt…you’re a team…a marketing and sales team. You can’t survive without each other. Why, in 2016, would any salesperson be asking what have you done for me lately? The best approach to answering the question is to show them how effective marketing impacts THEIR success. Without marketing…without you, the sale team’s job is significantly more difficult. The next time you hear that question or even rumblings that might lead in that direction…stop them in their tracks and remind them of all of the ways you help them be more successful. The ZMOT has changed how buyers buy and how sellers sell. There’s now a large part of the buyer’s journey that takes place before a salesperson talks to a prospect. If that first stage of the journey with a company isn’t positive, the salesperson will likely never even get a chance to do what they do best. Who is responsible for that first interaction? Marketing is. Whether it is web content like blog posts or premium content like a whitepaper, marketing creates it. Content is the foundation for any demand generation effort. Without it, you’re dead in the water. Content is used to teach prospects about the issues they’re facing. Good content establishes a company as a thought leader in their area of expertise. It helps to build a foundation of trust and knowledge for the buyer with the seller. Once a prospect becomes a sales qualified lead, salespeople will continue to use the content created by marketing to further the discussion and to continue to teach. If marketing isn’t there to create the content, who would? Spend the time on the fundamentals that go into creating effective content, i.e. defining your buyer personas, their journey, the questions they ask, and it’s possible that you’ll never hear a salesperson ask how marketing is contributing. One of the roles of marketing is lead generation and where would sales be without leads? For this discussion, it is important to remind sales of the many ways that marketing impacts lead generation. From an inbound marketing perspective, marketing creates the content prospects want. BUT it goes far beyond just creating it. The “if you build it, they will come” myth is just that…a myth. In order to generate leads, the content needs to be promoted. Conversion paths need to be defined. Emails need to be written. Lead nurturing needs to happen. These are not easy tasks. They are done very deliberately with an end in mind. The volume and velocity of leads generated impacts the entire funnel. If marketing doesn’t generate enough leads at the top, sales cannot meet their number at the bottom. Track your leads. Know how many are in each part of the funnel at all times. If anyone ever asks, you’ll be able to show them where and how marketing is contributing. Who does the sales team turn to when they need to know something about the competition or a particular market or specific prospects or customers? The answer is marketing. Who does the sales team go to when they need to know which content to send in a given situation? The answer again is marketing. Who does the sales team look to for accurate metrics? Again – marketing. Marketing plays a vital role for the sales team in these areas. When the sales team is forced to spend time tracking down intel, of any kind, it is time they are not selling – which translates to wasted time. Information marketing provides also helps to steer the sales process. Again, helping the sales team focus where they do best…closing sales. It’s easy to underestimate the importance of this marketing role but without it, sales effectiveness can only reach a certain point. Remind your sales team that marketing provides valuable insights every day...and don’t let them downplay its importance. There are many other ways marketing impacts sales. Trade show coordination, content organization and structure, customer engagement, social media strategy…the list goes on and on. 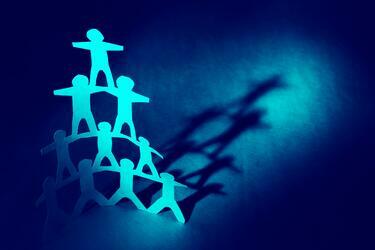 Today, demand generation is a team effort. No one succeeds if the team isn’t functioning as one. Hopefully, as more organizations realize the importance of sales and marketing alignment, questions like these will be asked less and less – and there will be no need for blog posts to address them.